We have heard and we responded – hopefully enough to satisfy your earlier concerns with our v1.0 website. Comments on this updated site are appreciated! CLICK ON the Comment icon (just above) to add your thoughts. Lama Kunga Rinpoche is offering an Orange Manjushri Empowerment on Sunday, July 26. 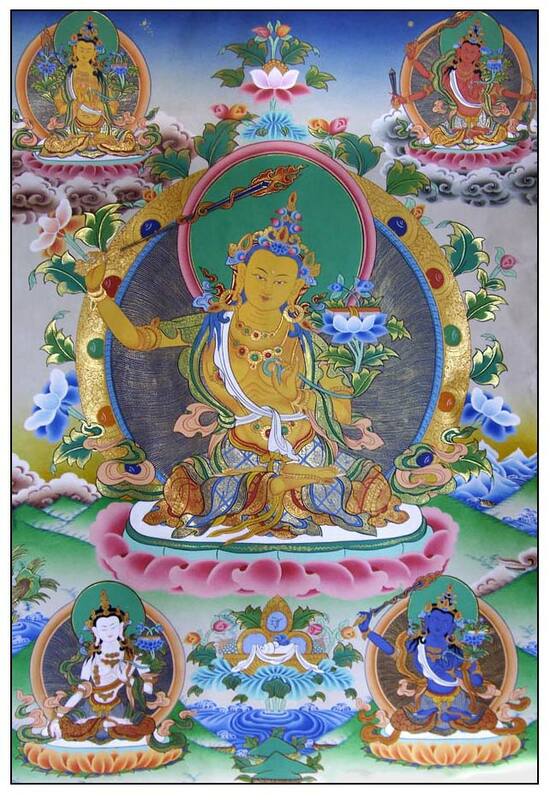 Manjushri helps us to transform our ignorance into wisdom and to see with more clearly our innate Buddha nature. We begin at 1pm promptly, so we ask you arrive by 12:30pm to register. Donation of $30. is requested with offerings (dana) to the Lama being separate. On Sunday, June 28, Lama Kunga Rinpoche will be offering an Avalokiteshvara Empowerment. Also known as Chenrezig in Tibetan, this bodhisattva of compassion is a central practice for the Tibetan cultural and for Ewam Choden. It is this practice that is the core of our weekly public meditation. The empowerment starts at 1pm promptly, so please arrive by 12:30 for registration. A donation of $30 is suggested with offerings to the Lama are traditionally extra.